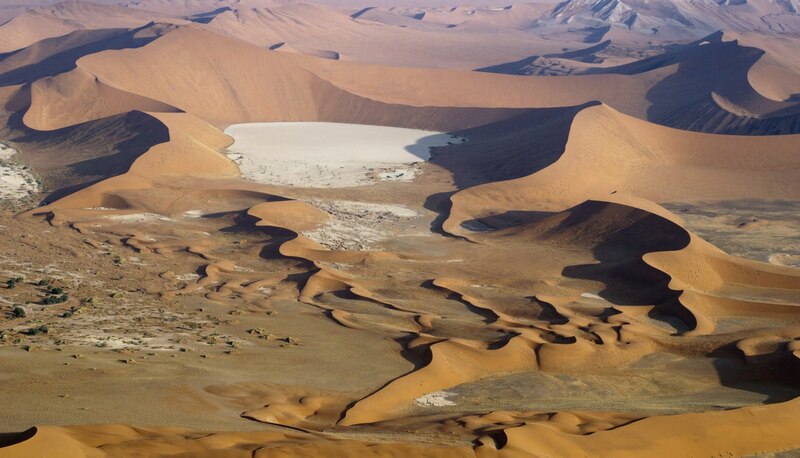 Namibia is a genuine land of adventure and unlike anywhere else on Earth. 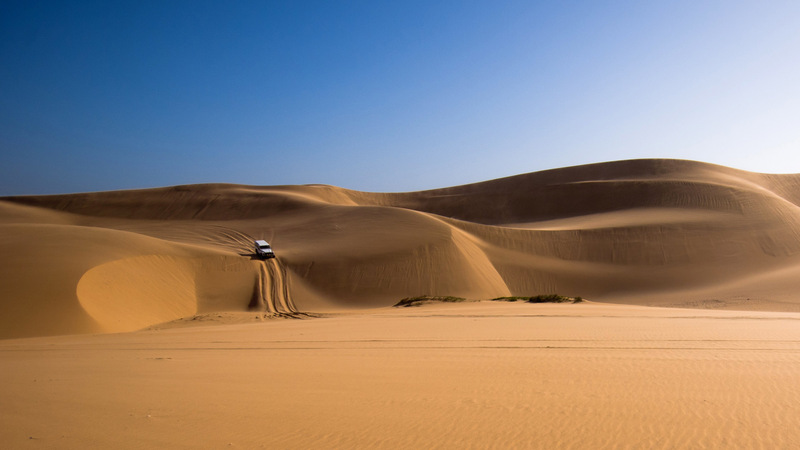 This 11-night overland participation camping tour covers all of the highlights of central and northern Namibia, but also concentrates on “off the beaten track” routes and attractions. It is great value for money. 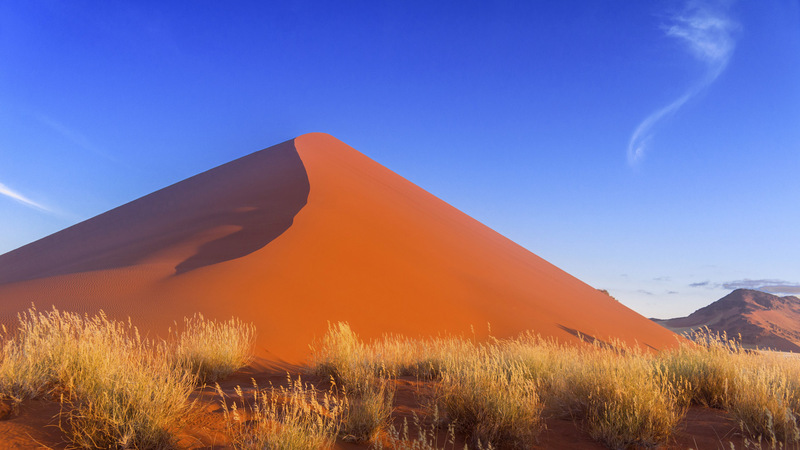 From Windhoek, travel south to Rehoboth, and then into the true Namib to the desert camp adjoining the Namibrand Nature Reserve. 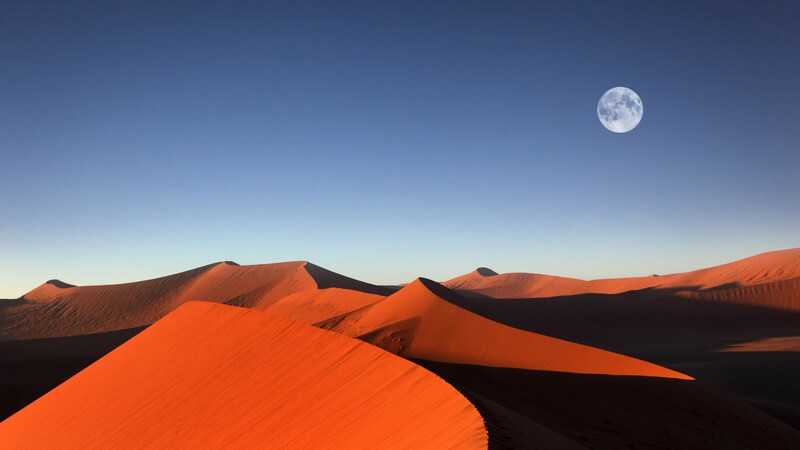 The sunset over the desert is a sight to behold. Enjoy a traditional meal under the clear night skies before falling asleep to the sounds of the wild. 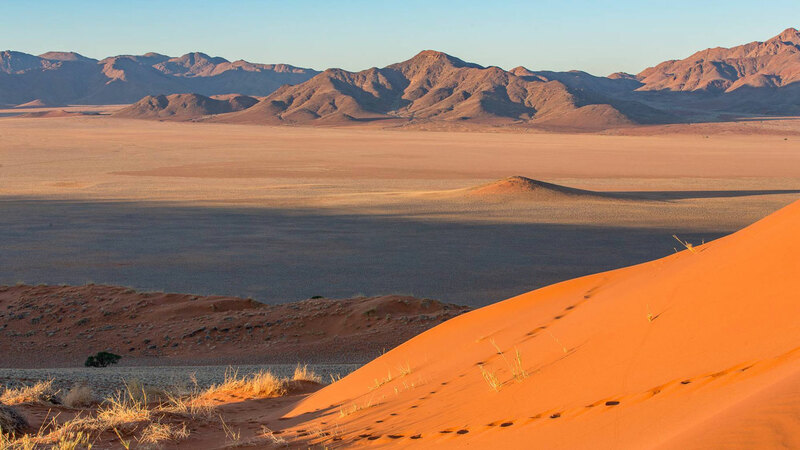 The desert camp is nestled against a towering rock outcrop within a protected wilderness that has been conserved and restored, and on which game has been protected with the proceeds of tourism. 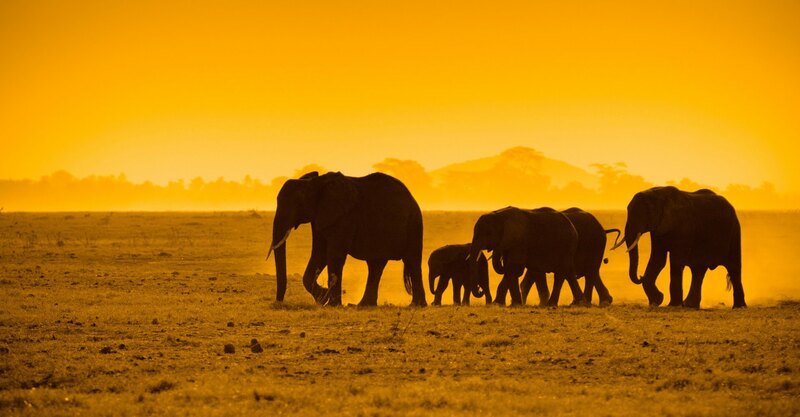 During your stay here, you will take extensive guided walks and game drives. 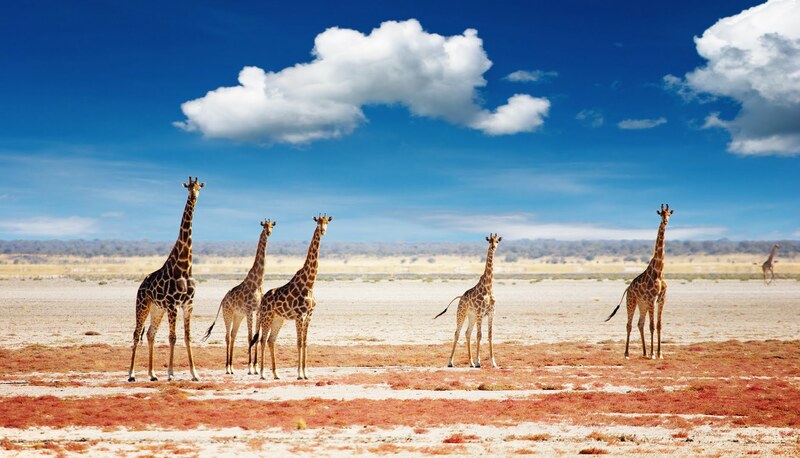 Tanzania boasts some of the most iconic game reserves and conservancies in Africa, Ngorongoro & the Serengeti being perhaps the most renowned. 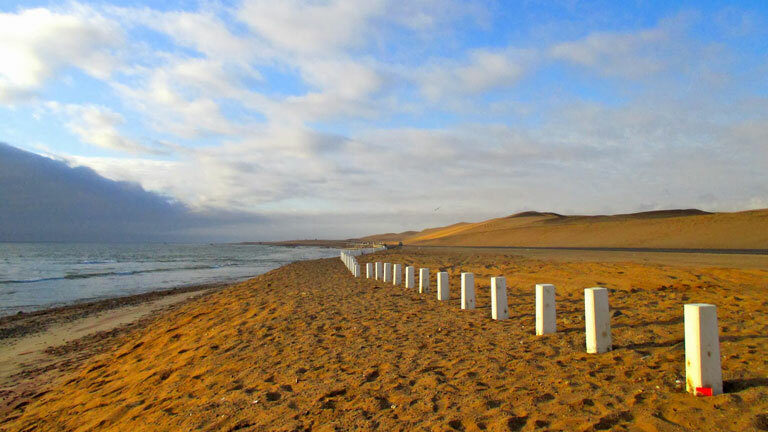 Visit a dramatic ‘lunar’ landscape and the ancient Welwitschia plants, before making for the coastal town of Swakopmund, spending 2 nights in the comfortable Swakopmund Inn. 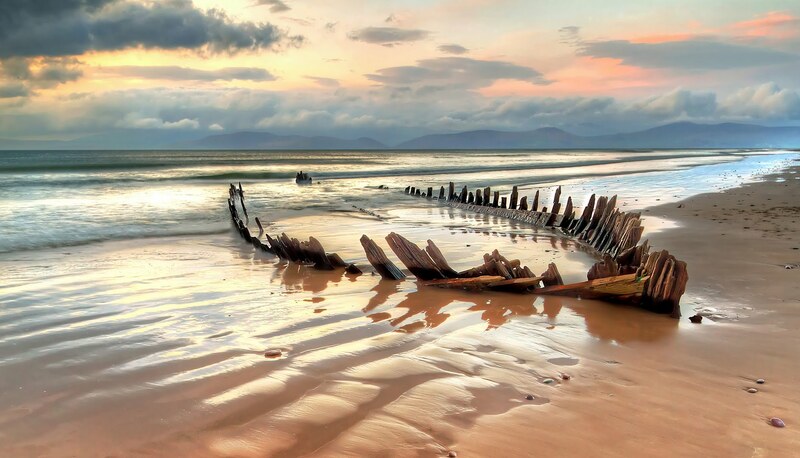 You will have the opportunity to partake in Quad Biking, Sand Boarding and Sky Diving whilst here (own expense). 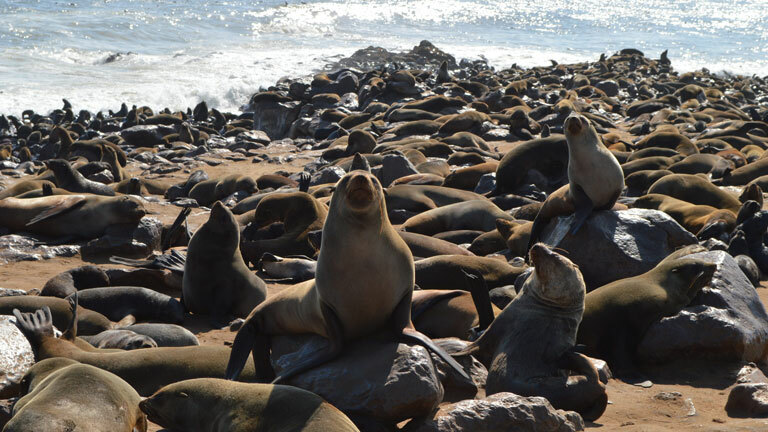 Today head up the barren Skeleton Coast, scene of many a shipwreck, to the Seal Colony at Cape Cross. 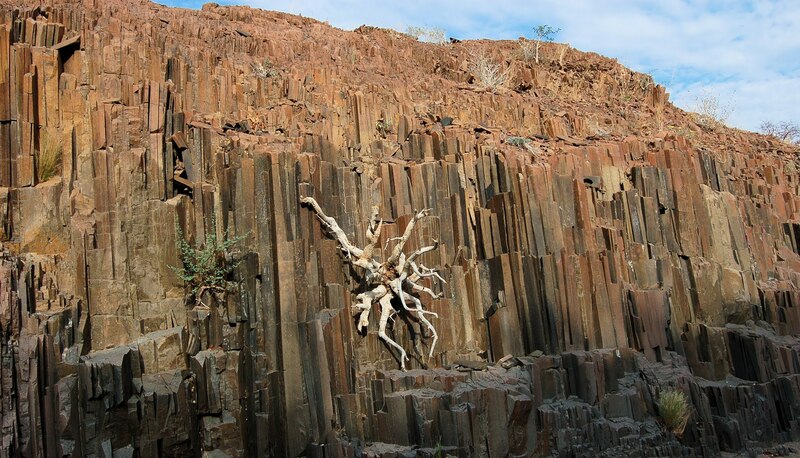 Venturing inland, your next stop is at the impressive Spitskop where you will camp wild amongst the boulders at the base of this unusual granitic outcrop. 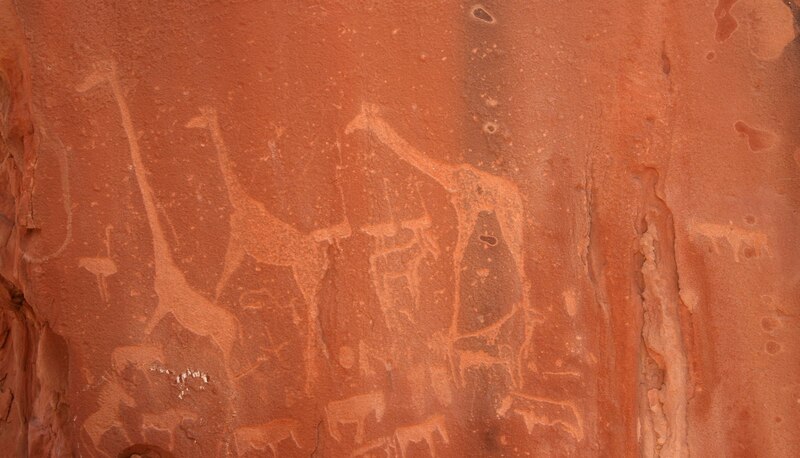 A long day, move on to visit the Organ Pipes and the bushman Rock Engravings at Twyfelfontein before entering Damaraland and crossing the Grootberg to camp the night in the Palmwag region. 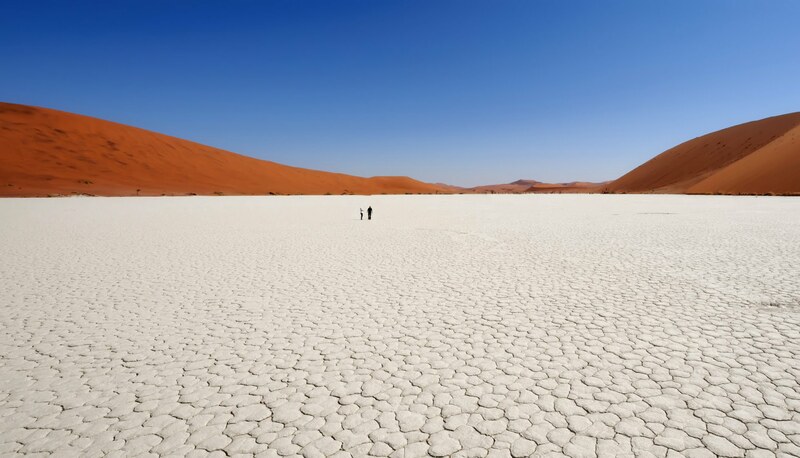 This is an area used by the rare Desert Elephants, and you may see these magnificent animals up close today. 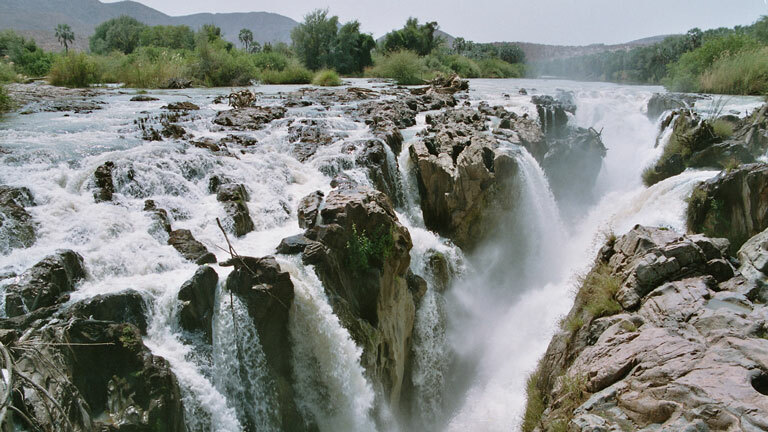 Travelling through the heart of the Kaokovelt today, make your way north to the Angolan border where you will camp at a community project on the banks of the Kunene river at the awesome Epupa Falls. 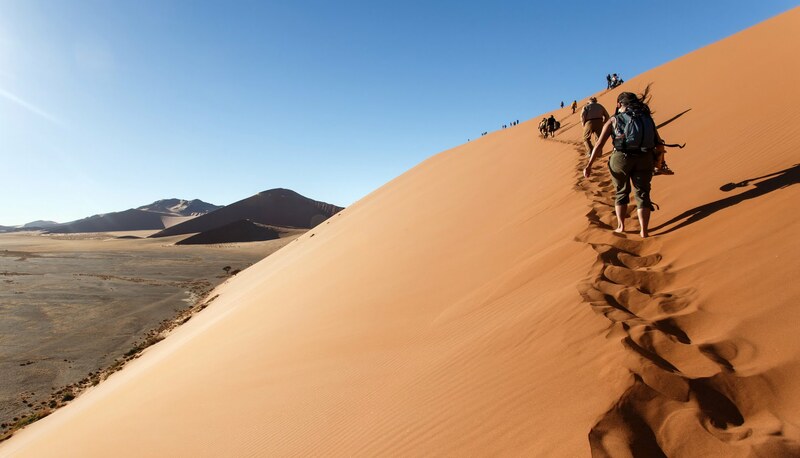 During your time here you may interact with the nomadic Himba people. Entering Etosha National Park today, spend two nights here in search of the big game that this park is so well known for. One evening will be spent at a floodlit waterhole, watching the many animals that come down to drink. 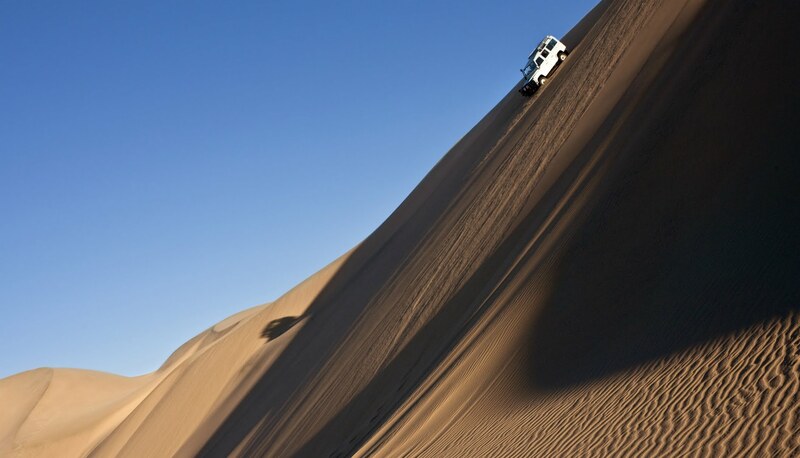 During these days enjoy extensive game drives within the park. 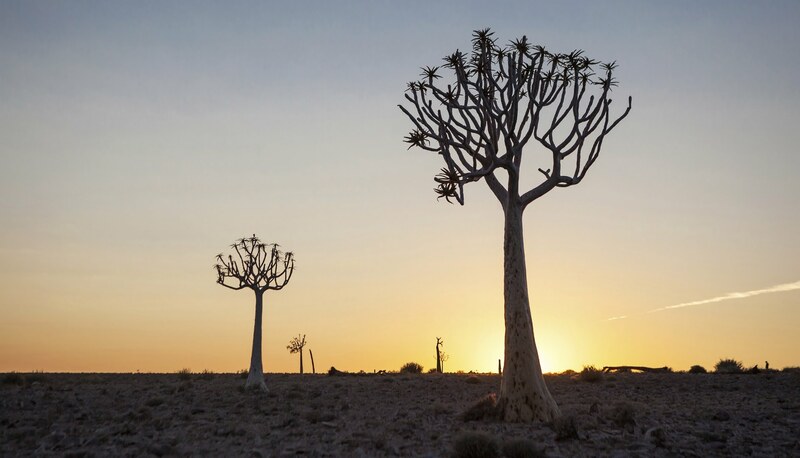 Return to Windhoek on Day 12. 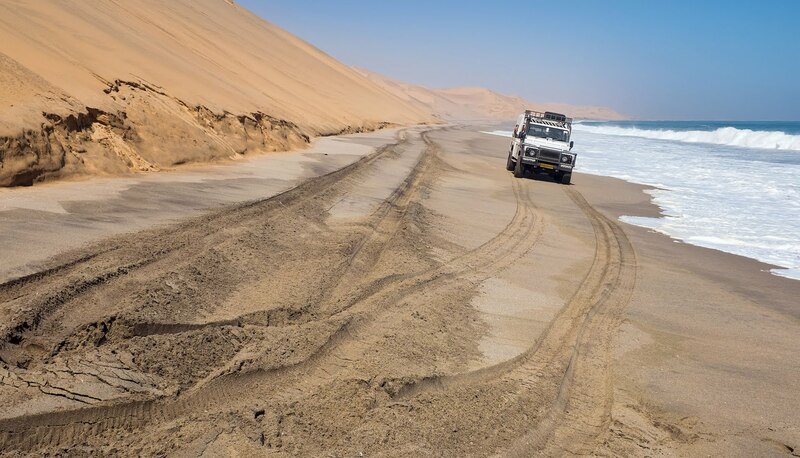 We work with several overland companies in Namibia, the above itinerary is a sample only. Please contact us for details.